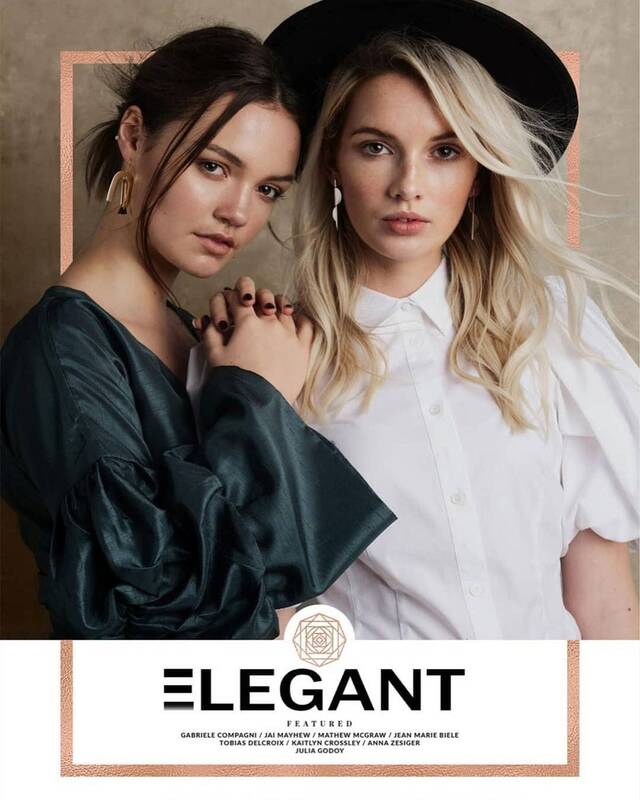 As featured in Elegant Magazine: These beautiful 24K gold Plated statement earrings are a mix of modern and elegant and look great on. They are well balanced and chunky enough without being too bold, so look good dressing up a laid back jeans and t-shirt outfit or to accompany a fully glam evening look. 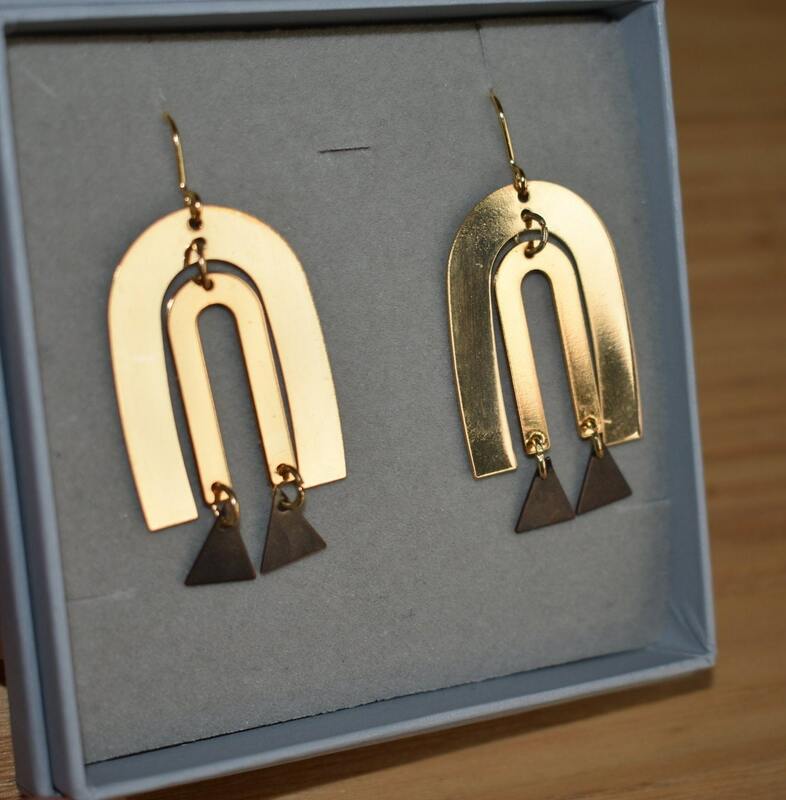 The shapes have been cut from brass and 24 carat gold plated. The earring wire is made from gold plated wire. Each pair comes gift boxed and would make a beautiful gift to yourself or someone else. If you want to see more ear candy, take a look at my other shop listings! 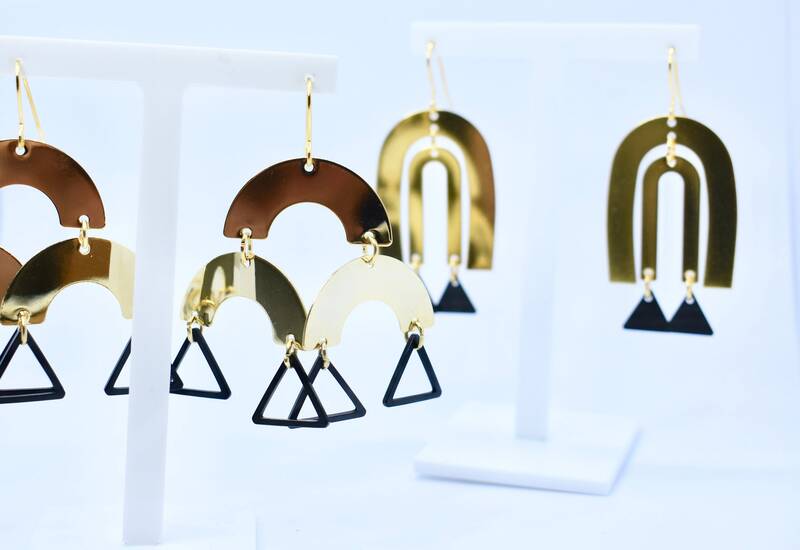 I have both minimal and statement pieces available. 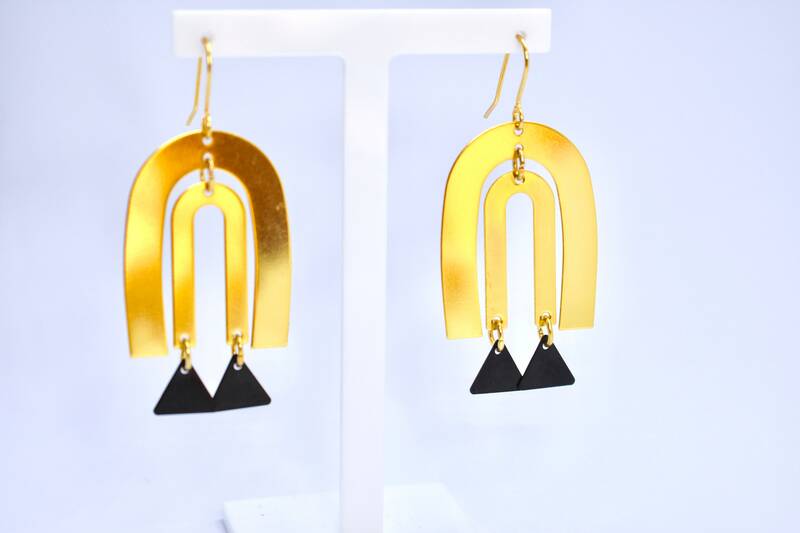 The earrings pictured in this listing is for display purposes as all new purchases will be made to order. Please expect around 3 days lead time from placing your order until dispatch (this doesn't include additional shipping time), but I always aim to make and post as soon as possible. Your item will be sent as a small parcel. If you live within the UK, your item will be sent via Royal Mail Second Class Signed For. For all other orders your item will be sent via Royal Mail International Tracked & Signed.